WATERWORKS - Rarely available corner unit in one of Concord Pacific's most sought after builings. Extra large 1 bedroom and den with floor to ceiling windows facing N & W with city and mountain views over Yaletown. Open kitchen plan with stainless appliances, insuite storage, new carpet and paint. This is a beautifully decorated and well maintained owner occupied home. Fabulous ammenities at Club H2O with a large indoor pool, hot tub, common bbq sundeck, gym, squash court, games room and concierge. 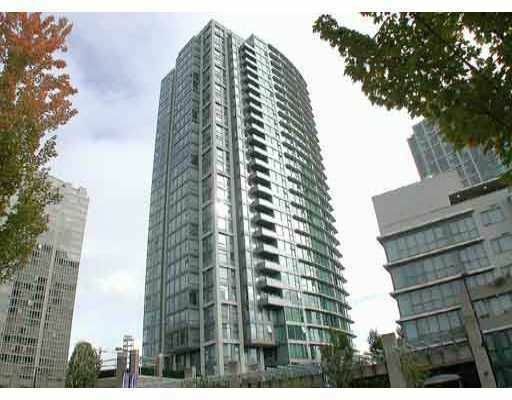 Great Yaletown location, steps to seawall, Urban Fare, shopping and restaurants. 1 parking stall included. See realtors website for pics and more info. Must be seen.